Pierre Novellie is one of the best up-and-coming comedians in the United Kingdom. An acclaimed live act, Pierre has supported Hal Cruttenden and Gary Delaney on their national tours, is nominated for Best Club Comic at the 2017 Chortle Awards for the second year running, and will bring his new show to the Edinburgh Fringe Festival in 2017. Pierre Novellie’s previous Edinburgh shows have been well received by both audience and critics alike, with his 2016 show, Pierre Novellie is Cool Peter, getting 5 star reviews from ThreeWeeks and One4Review and a 4 star review in The Times and his 2015 show, Pierre Novellie is Anxious Peter, receiving a raft of 4 star reviews in publications including The Scotsman, Chortle and The List. 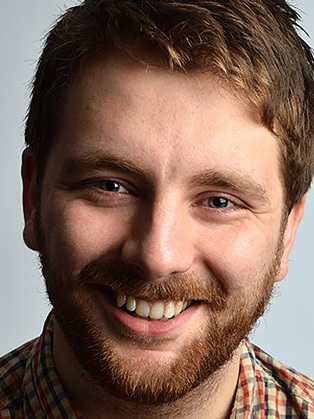 He is a past winner of the Amused Moose Laugh-Off and has previously received nominations for Best Newcomer at the Chortle Awards, the Amused Moose Comedy Award, and Best Debutant at The Skinny Awards. Pierre had a regular role in the three-part Channel 4 Comedy Blap, Outsiders, and previously appeared in the Joke Thieves pilot for BBC2 opposite Marcus Brigstocke, BBC3’s Edinburgh Comedy Fest Live and 4OD’s comedy series Taxi Gags. He was also a guest on Frank Skinner’s Radio 4 panel show The Rest is History. Pierre has a regular podcast called My Favourite Podcast which is available on iTunes and Soundcloud and he is due to appear in BBC2’s The Mash Report later this year.